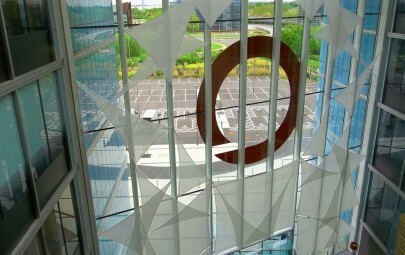 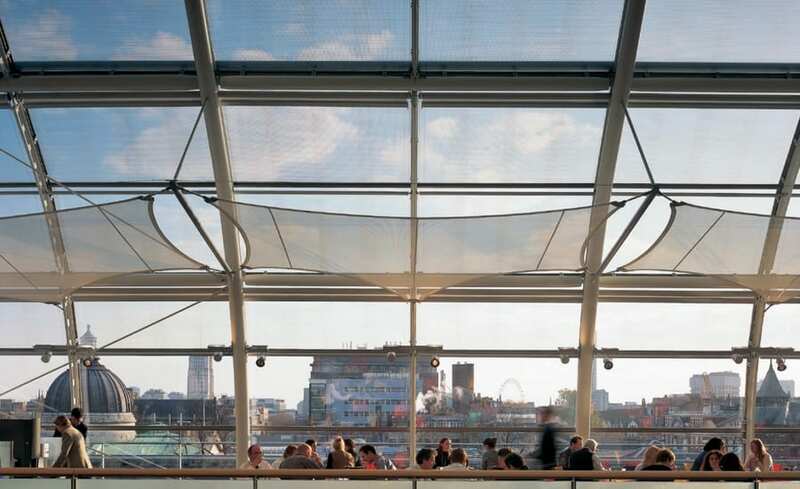 Independent charity the Wellcome Trust have a brand new head office in North West London. 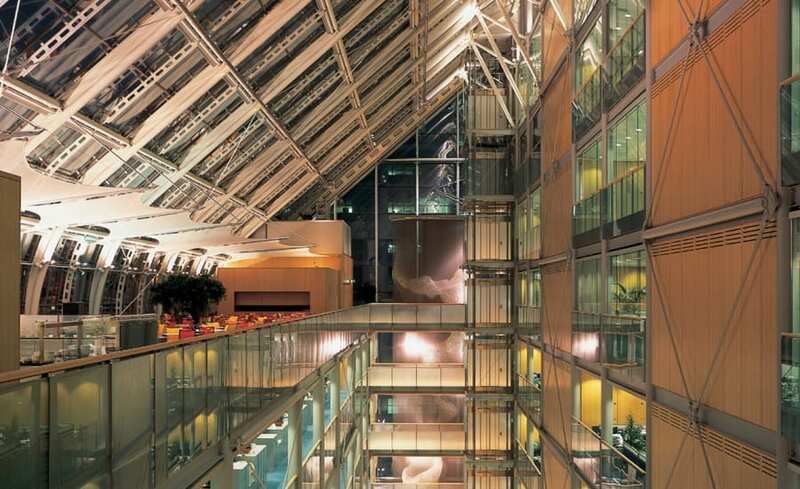 The charity, which funds research to improve human and animal health, employed Hopkins Architects to design the new building, extend the existing building, and make a landmark structure for the world famous trust. 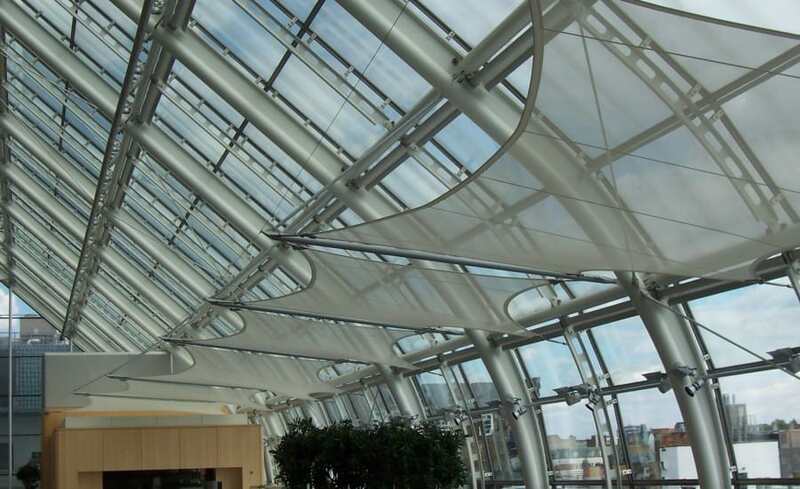 A long established relationship with Hopkins Architects meant that Architen Landrell was called upon to look at solving a problem with solar glare. 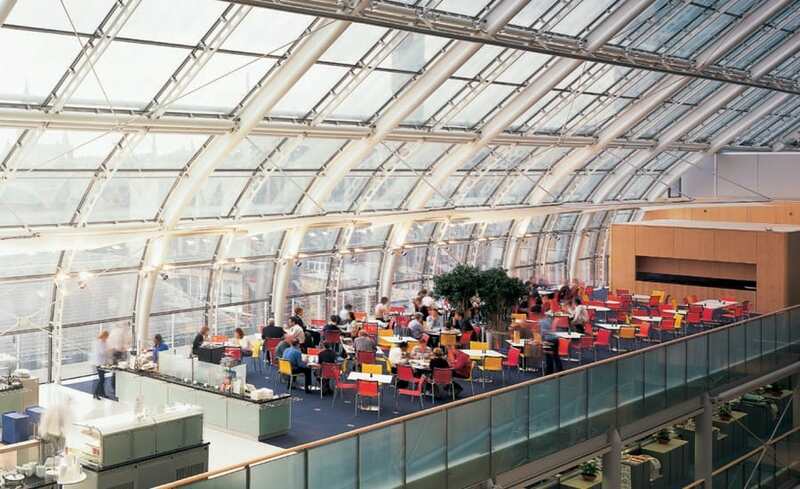 The staff restaurant, located on the fifth floor of the building, has a curved glass façade which acted much like a greenhouse storing heat inside the building and providing an extremely exposed area. 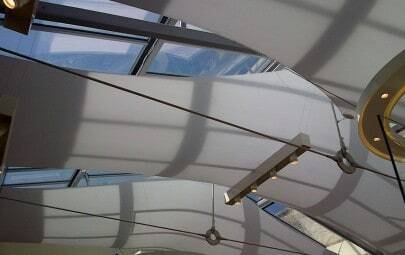 Working very closely with Hopkins, Architen Landrell designed, manufactured and installed three bays of fabric sails to filter the light and reduce solar gain. 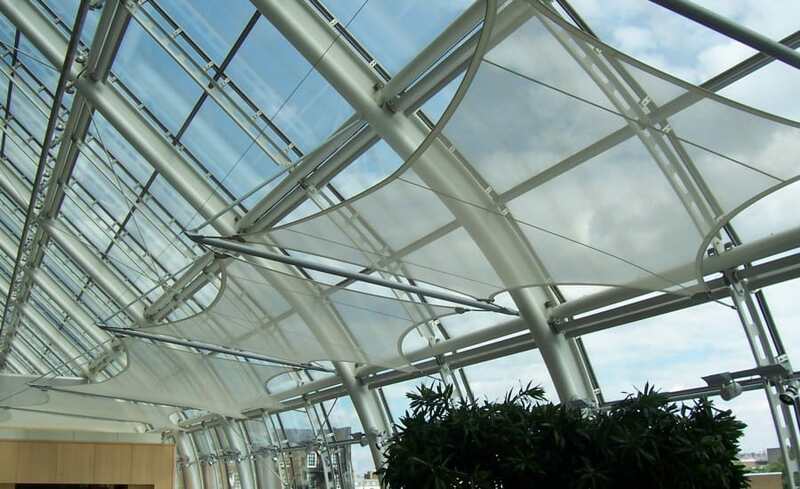 The scalloped panels were manufactured out of Airscreen mesh which has an openness factor of 50% and ensured that a light and bright atmosphere was maintained while still achieving some shading. 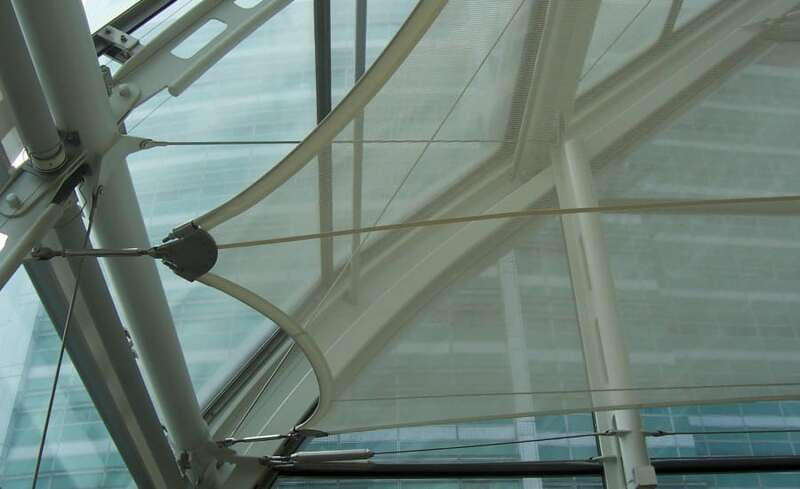 Installation of the sails proved fairly straightforward. 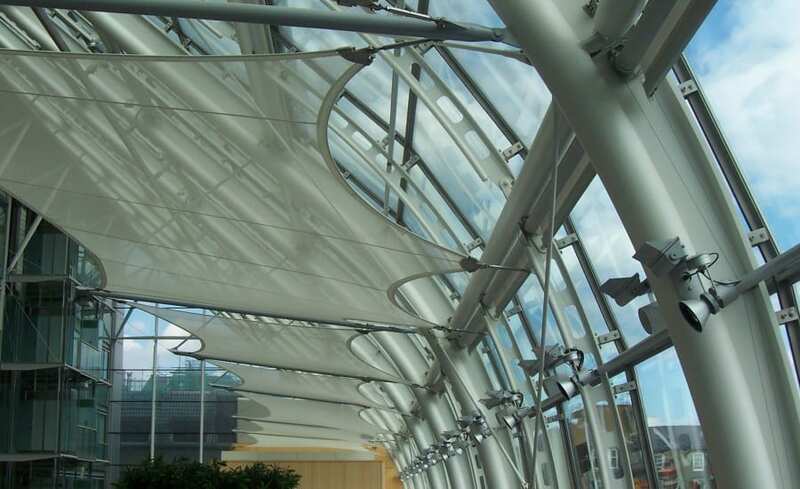 Eight brackets were fixed onto each of the four corners to the concrete shelves in order to serve as attachment points for the canopy. 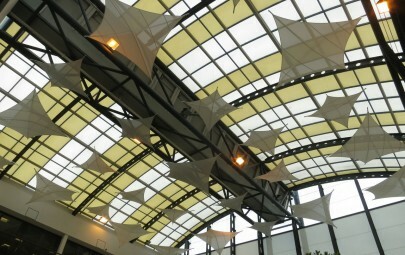 The fabric was then stretched between the mild steel booms which were pinned to the main building rafters. 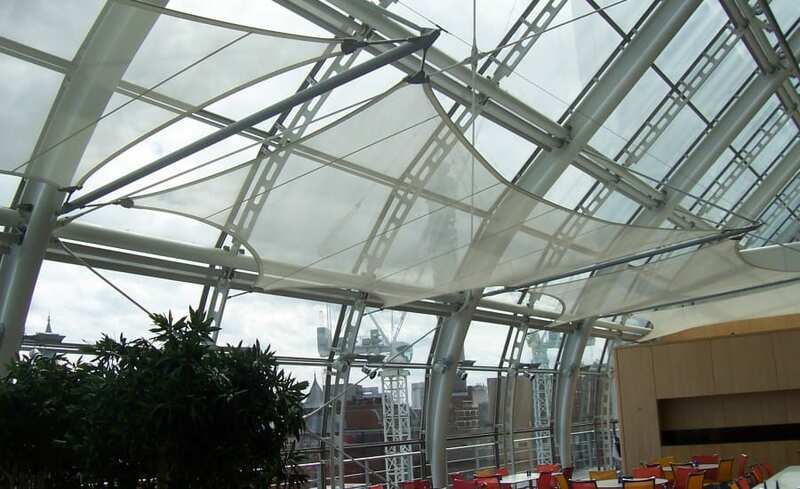 The fabric is connected to the steel booms by membrane plates and tensioners in order to create the taut structure of the sails. 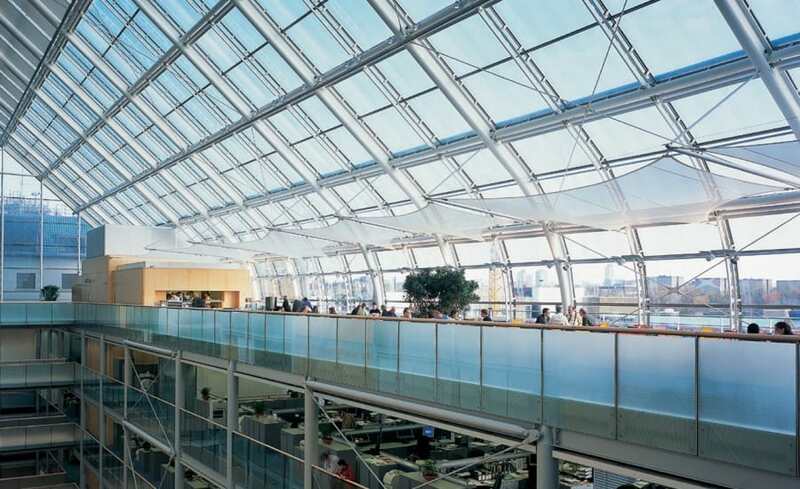 The new headquarter’s hundreds of workers and visitors who pass through the building can now enjoy the beautifully designed restaurant environment come rain or shine!